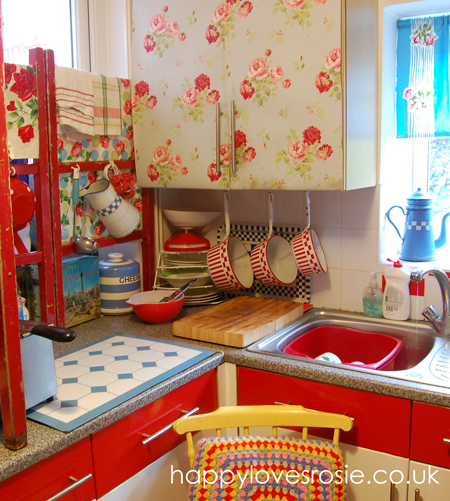 New Look Vintage Kitchen … Done! …and the cost of the white paint was totally free, as I have become a member of FREECYCLE in my area. I asked for some white paint in the summer…and to my surprise a lovely lady in the next town offered me a large tin of exterior matt…well since then I have painted quite a few surfaces with it…including my kitchen shelves. 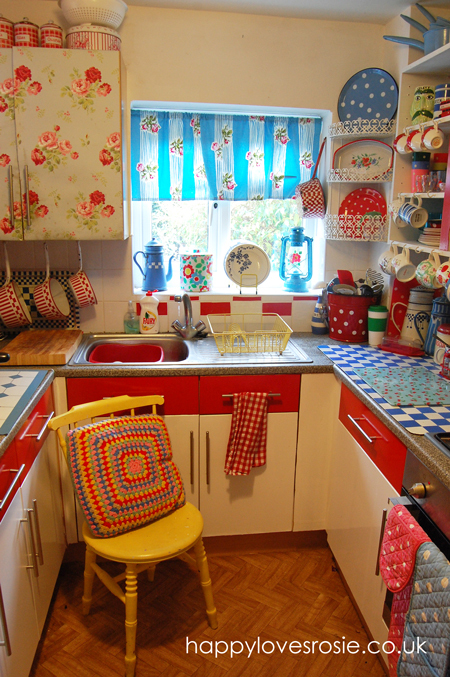 All the rest of the kitchen is a snippet of our vintage French enamel and shabby cottage collectables…apart from the washing up bowl…we had to have a new red one, which cost £2.00, I think that was from Wilkinsons. So the total cost of this happy kitchen make-over was £17.00…what a bargain!…see it just shows you what you can do, when you put your mind to it…or should I say! when you get your mojo back! lol! It's such a happy space! What issue blue and white checkered material that you put down on your countertops? ps–I love the checkered tea cozy–do you know where I can get one or the pattern? Now this makes me smile and yes , yes it makes me oh so happy! very cheerful…and inspirational! 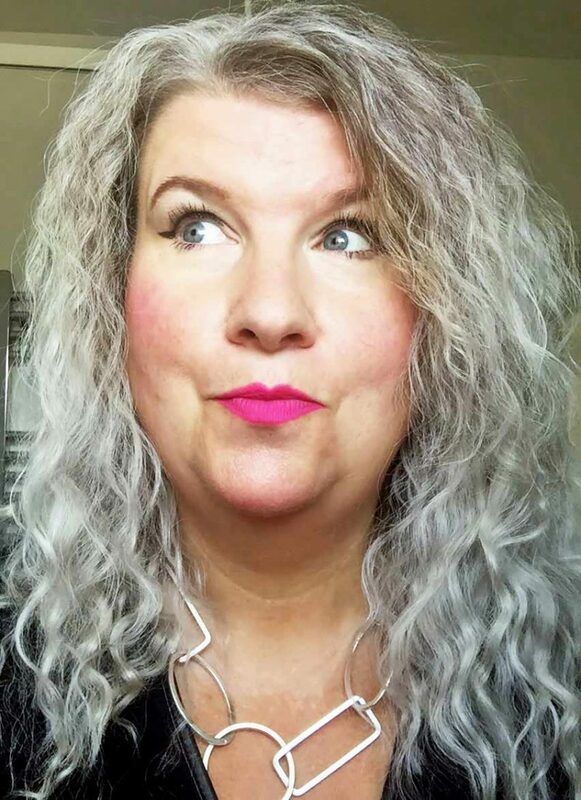 PS I wish you would put the follow me on bloglovin on your side bar–this way I get updates on people's blogs all in one letter instead of getting single letters from each blogger–it makes it easier to follow. Great job! What a cozy kitchen. I love all the colours, there is so much to see! Oh Happy!! It is beautiful!! Really..it just looks grand! There's nothing like paint to spruce up a room!! It's Happy!! Sticky back plastic? Don't you just love Blue Peter? 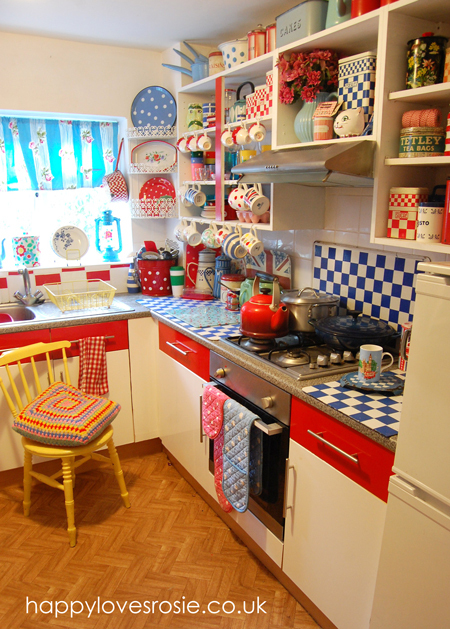 Your kitchen is just gorgeous; bright and pretty and sweet and cheerful. And that's a really lovely red kettle. Tea? Yes please, I'd love a cup. So pretty! congrats!could you just tell me where you found the plastic paper rolls?love and bonne journée! 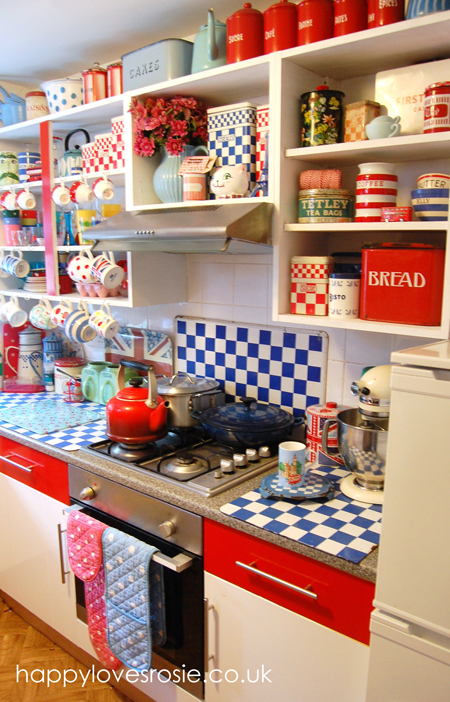 It looks so bright and happy – my kind of kitchen!